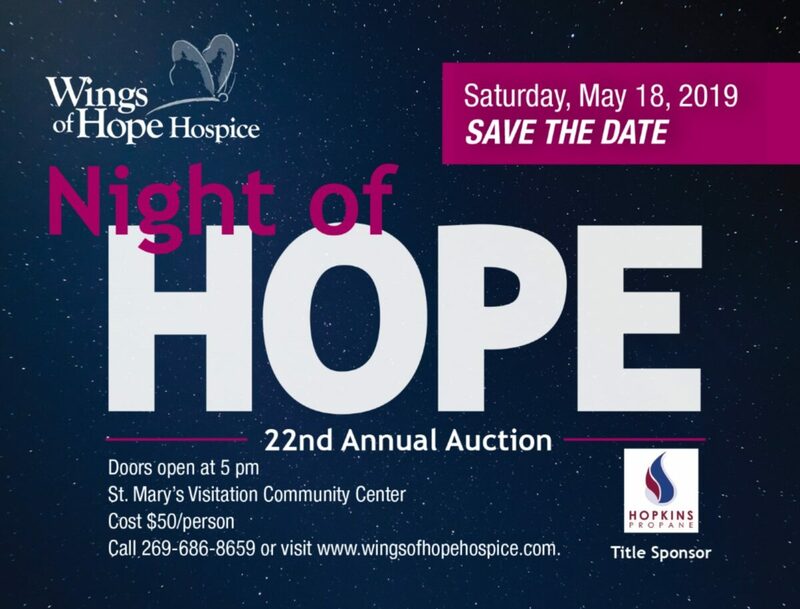 Join us on May 18, 2019 for the 22nd Annual Night of Hope Auction! The evening is always festive and lots of fun, with both silent and live auctions, various games of chance, and fabulous food donated by area restaurants and gourmet chefs. The persons, businesses, and organizations listed on our website as our sponsors are the core donors of the event. A big thank you goes out to Hopkins Propane for their Title Sponsorship and their continued support and generosity. Please thank these groups when you see them. And please let us know if you would like to become a sponsor, item donor or if you would like to attend the 22nd Annual Night of Hope Auction. This event is successful because of the support of our community. We can’t do this work without you. Doors open at 5pm. Tickets to the event are $50/person.